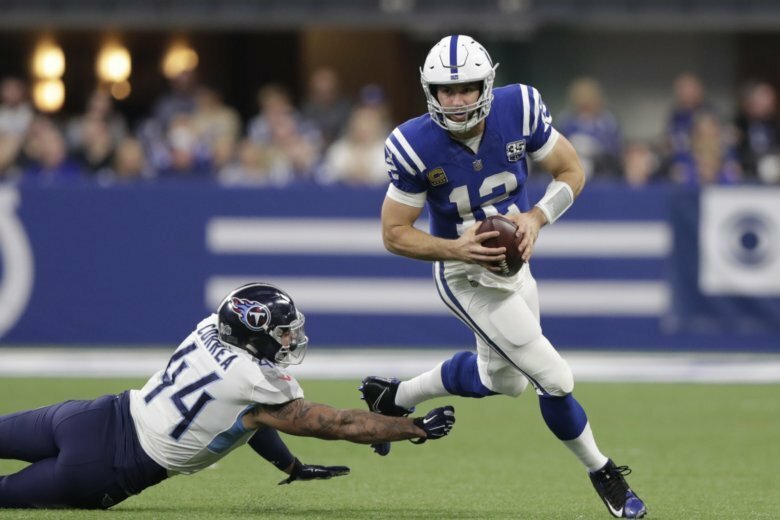 All the Titans could muster was a 42-yard field on the final play of the half — after Mariota left and only after the Colts drew an unnecessary roughness penalty. He played in a franchise-record 211 games and caught 1,070 passes for 14,345 yards and 82 TDs in 14 seasons — all in Indy. “This (blue) jacket looks pretty damn good on me, thank you,” Wayne said before jogging to the end zone to thank the fans — as he did for years just before kickoff.